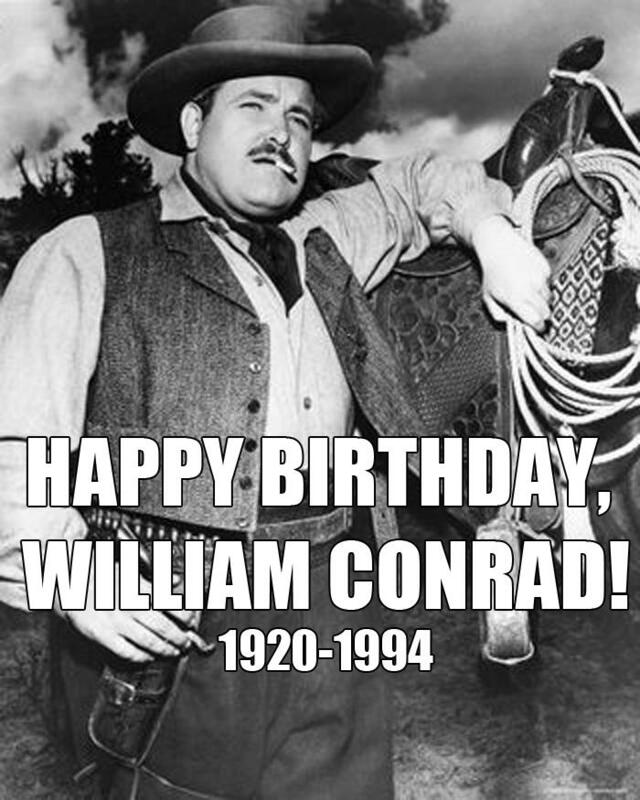 September 27: Happy Birthday, William Conrad! A great voice that during an era seemed to be everywhere on radio including the the role of Matt Dillon in Gunsmoke, and appearances in Escape, Lux Radio Theater, Suspense, This is Your FBI, Nightbeat, and Suspense. Although he missed his shot to be Matt Dillon on TV, he brought us Cannon and Jake and the Fatman and his narration of The Fugitive with David Janssen and Rocky & Bullwinkle voice-over. He was so much more than that fat detective, with a phone in his Mark IV, named 'Cannon' on TV. He was quite versatile. He was a heavy in the movie THE KILLERS and did the voice of the Steward of Gondor in the Rankin Bass animated RETURN OF THE KING. September 25, 1933: The Tom Mix Ralson Straight Shooters went on air for the first time on NBC and remained on the air waves until the mid-1950's. Thomas Hezikiah Mix, otherwise known as Thomas Edwin ""Tom"" Mix, was an early American western movie actor. He was featured in 336 films between 1910 and 1935, nine of those being silent features. He was the first of Hollywood’s great Western actors. 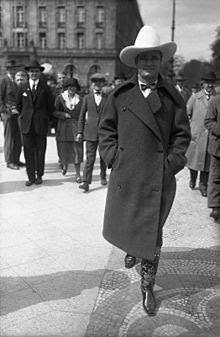 In 1933, Tom Mix made his radio debut. He was granted by Ralston-Purina to produce his own radio series. The series was titled Tom Mix Ralston Straight Shooters. The series was popular throughout most of the 1930's through the early 1950's. Tom himself never performed on the series. His character was played by several different radio actors: Artells Dickson (early 1930's), Jack Holden (1937), Russell Thorsen (early 1940's) and Joe ""Curley"" Bradley (1944). Supporting cast included George Gobel, Harold Peary, and Willard Waterman. As a reward to its loyal listeners, The Ralston company announced that they would give a series of 12 special Ralston-Tom Mix comic books to anyone who mailed a letter to the Ralston Company. September 23: Happy Birthday, Mickey Rooney!